When first introduced in the 1950s, antidepressant medication was used to help reduce the symptoms of depression. However, research has shown that antidepressants can effectively treat a variety of mood and anxiety disorders. Antidepressants are currently one of the most common treatment options for panic disorder (with or without agoraphobia). Neurotransmitters are naturally-occurring chemicals in the brain and are considered to be imbalanced for people with mood and anxiety disorders. Antidepressants work by affecting these neurotransmitters in a way that can help reduce anxiety and decrease the frequency and intensity of panic attacks. Different classes of antidepressants influence various types of neurotransmitters. The most frequently prescribed groups of antidepressants for panic disorder include the following. Selective serotonin reuptake inhibitors, or SSRIs, are a popular type of antidepressant that can be used to treat panic disorder. SSRIs work to balance serotonin, a neurotransmitter that's associated with the regulation of several bodily functions, including mood and sleep. By preventing your brain cells from absorbing serotonin, SSRIs can assist in enhancing mood and reducing feelings of panic and anxiety. SSRIs were first introduced in the United States in the 1980s and have continued to remain a popular treatment option for numerous mental health disorders. 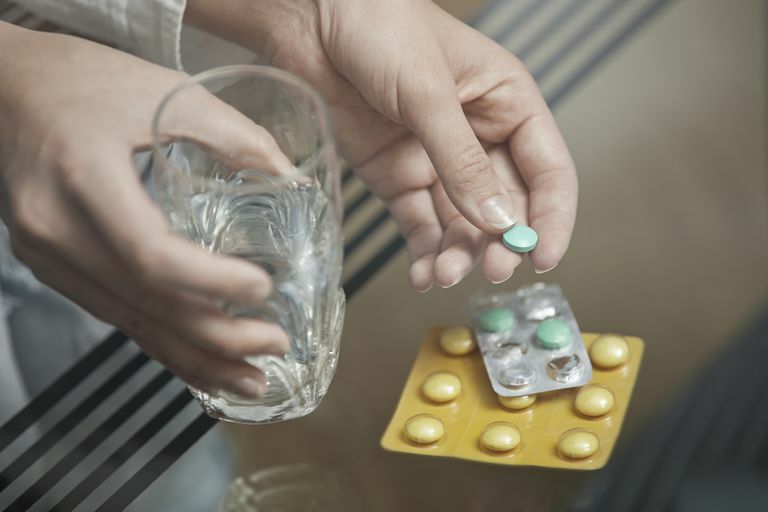 SSRIs are often preferred due to their safety, effectiveness, and likelihood of producing fewer side effects than other types of antidepressants. Tricyclic antidepressants, or TCAs, originated in the 1950s. Despite becoming less popular since the introduction of SSRIs, TCAs are still used to successfully treat anxiety and mood disorders. Similar to SSRIs, TCAs also work to balance serotonin levels. TCAs also affect norepinephrine, a neurotransmitter linked to alertness and the fight-or-flight stress response. First available in the 1950s, monoamine oxidase inhibitors (MAOIs) are one of the earliest types of antidepressants. Due to the many dietary restrictions and potentially dangerous drug interactions associated with MAOIs, SSRIs and TCAs are often preferred over them. MAOIs are, however, still considered to be effective in treating conditions related to mood and anxiety. Like TCAs, MAOIs influence the availability of serotonin and norepinephrine. MAOIs additionally stabilize dopamine, a neurotransmitter that's linked to a variety of functions, such as a person's energy levels, physical movements, and feelings of motivation. A warning was issued in 2007 by the United States Food and Drug Administration (FDA) after research showed a link between antidepressant use and risk of suicide. The FDA cautioned that children, adolescents, and young adults initially starting on antidepressants are especially at risk of increased suicidal thoughts and behaviors. Known as a “black box warning,” the FDA requires that all antidepressants indicate this warning with the prescription. Most people on antidepressants will not run into this risk. However, young people just beginning on an antidepressant should be carefully monitored for increased depression, thoughts of suicide, and any unusual behaviors. Always consult your doctor if you have any questions and/or concerns about your antidepressant prescription.